The National Thoroughbred Racing Association (NTRA) announced today that Golden Gate Fields has earned re-accreditation from the NTRA Safety and Integrity Alliance. Located along the bay in Albany, Calif., near Oakland and San Francisco, the track opens its 36-day fall season Thursday, Oct. 16. Golden Gate received its initial Alliance accreditation in 2010. All accreditations and re-accreditations carry an effective period of two years. Golden Gate is owned and operated by The Stronach Group, one of the world’s leading racetrack operators. In the area of injury reporting and prevention, best practices identified included post-mortem veterinary examinations, as required by the California Horse Racing Board (CHRB); a Veterinarians’ List maintained with the InCompass Racing Operations software for sharing with other jurisdictions; and use of cushioned riding crops, in adherence with CHRB policy. In the area of equine drug testing and penalties, best practices identified included exogenous anabolic steroids regulation and testing protocols; the ability to retrospectively test frozen samples of suspect plasma or urine samples; and Racing Medication Testing Consortium (RMTC) accreditation of the track’s official testing laboratory, the University of California (Davis) Kenneth L. Maddy Laboratory. Regarding the health and safety of jockeys, best practices recognized included appropriate funding of jockey disability support programs via the Permanently Disabled Jockeys Fund. Golden Gate achieved a best-practice rating and highest commendation for its efforts in aftercare and transition of retired racehorses. It is believed to be the only track in the United States with an employee whose sole responsibility is managing aftercare by connecting horses with safe homes at the conclusion of their racing careers. Funding is provided by CARMA (California Retirement Management Account), an independent nonprofit which receives .3% of winning owner purse earnings and disburses it to farms and organizations caring for retired Thoroughbred racehorses. The accreditation of Golden Gate was the culmination of a lengthy process that began with the track’s completion of a 48-page written application and continued as Golden Gate hosted several meetings with Alliance officials. An on-site review included inspections of all facets of the racing facility. Interviews were also conducted with track executives, racetrack personnel, jockeys, owners, trainers, stewards, and fans. The inspection team was comprised of Jim Gates, consultant and former general manager of Churchill Downs; Mike Kilpack, security and integrity consultant and past chairman of the Organization of Racetrack Investigators; Mary Scollay-Ward, DVM, Equine Medical Director of the Kentucky Horse Racing Commission; and Mike Ziegler, executive director of the NTRA Safety and Integrity Alliance. Golden Gate is one of 24 racing facilities currently fully accredited by the Alliance. Others are Aqueduct Racetrack, Belmont Park, Calder Casino and Race Course, Canterbury Park, Churchill Downs, Del Mar Thoroughbred Club, Fair Grounds Race Course & Slots, Fairplex Park, Finger Lakes Casino and Racetrack, Gulfstream Park, Indiana Grand, Keeneland, Kentucky Downs, Laurel Park, Los Alamitos Race Course, Monmouth Park, Pimlico Race Course, Santa Anita Park, Saratoga Race Course, Suffolk Downs, Sunland Park, Turfway Park and Woodbine. 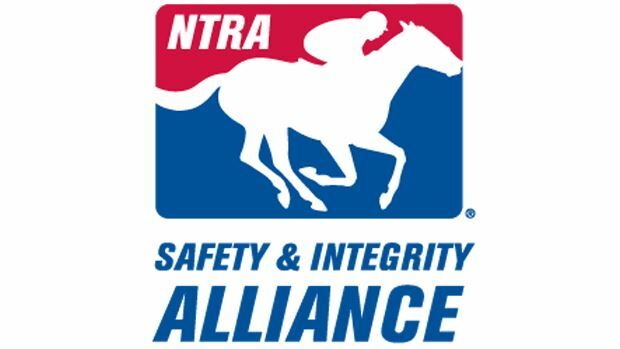 The NTRA Safety and Integrity Alliance is a standing organization whose purpose is to establish standards and practices to promote safety and integrity in horseracing and to secure their implementation. Corporate partners of the Alliance include Pfizer Animal Health, FLAIR Equine Nasal Strips and Hagyard Equine Medical Institute. Information on the Alliance, including the Alliance Code of Standards, can be found at www.NTRAalliance.com.